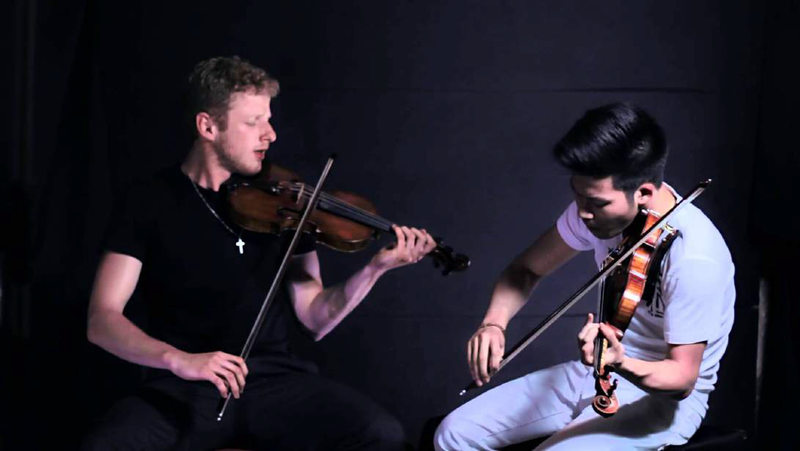 Momento is a male violin duo made up of two talented graduates from The Guildhall School of Music. Their original take on classical and pop hits, performed to backing tracks or on loop station, gives them a unique edge in the music world. Their flair and passion has seen them play at venues around the world, including Barbican (London), The Ritz (Paris), The Palau de Congressos (Barcelona), The World Concert Hall (Moscow) and The Old Vic, to name but a few.